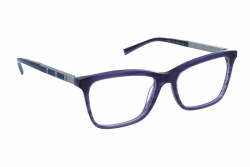 The glasses company Ana Hickmann has become in a short time one of the favourite brands among women. Its personality, elegance and detailing make this brand stand out among the rest. Their products are made using the best materials to guarantee a first quality product. All the processes are carefully made to offer comfortable, unique and original models. 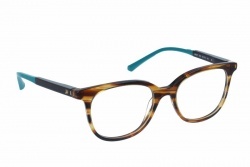 Both sun and prescription frames look for the satisfaction of the customer, providing elegance and contemporary design. The sun catalogue by Ana Hickmann looks for a feminine image and timeless elegance. Their models have innovative styles as striking and bold designs. The new collection combines different elements that provides a unique and personal product. They are characterized for original colours and the latest materials. The collection of eyeglasses by Ana Hickmann contains a wide variety of models. You can choose the one that adapts best to your tastes. We can find both modern and bold frames and elegant and classic ones. The eyeglasses collection provides great comfort thanks to its first quality materials. In our online shop you will find the best Ana Hickmann models at best price. During the purchase process you will be assessed by our professional team. The brand was born in 2002. Created by the Brazilian model Ana Hickmann, who also has her own lines of clothes, cosmetics, shoes and glasses. Ana Hickmann was born in Brazil. She has been a model for years and modelled for many companies as for example Victoria’s Secret. She has worked in many countries as England, Thailand, Japan and Portugal.